Getting ready for that summer BBQ? They are super fun, delicious, and a great way to cook and socialize at the same time. 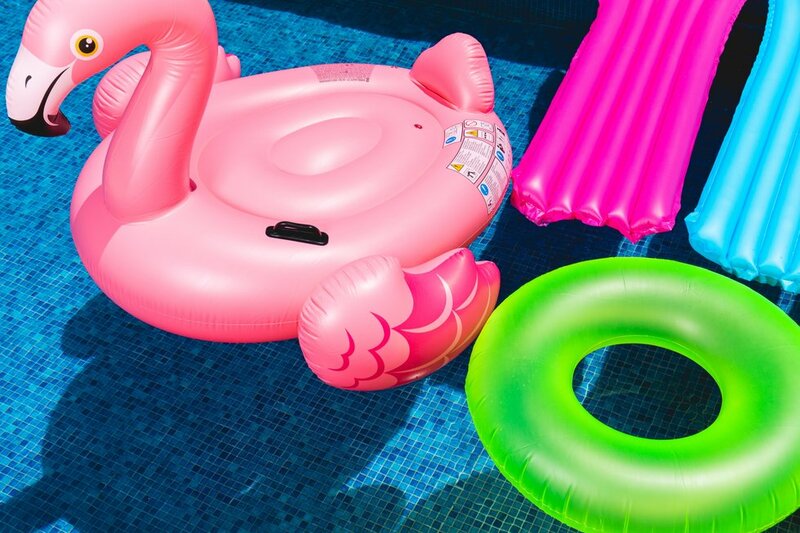 We have some suggestions that will still let you party it up with a BBQ, while keeping everyone safe from unnecessarily hanging out with some chemicals, too. First off, think about the actual grill. Because it's an open flame, grills can create some smoke. And, while that can, at times, be the point, directly breathing in smoke usually isn't the best idea, especially for children and people with asthma. There are some things you can do to make your grilling a little less smokey, though. 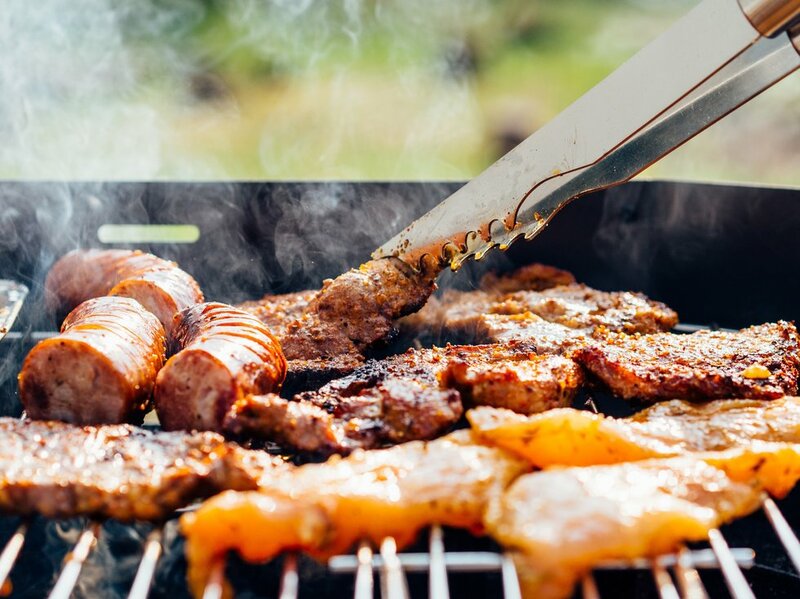 If possible, using a gas grill helps a bit, but if you have a charcoal grill (or prefer that), cut off excess fat to lower the amount of dripping and risk for flare-ups (1). Also, cleaning your grill to remove the charred, stuck-on bits before you cook is good for reducing smoke. And in general, a clean grill is better for you. 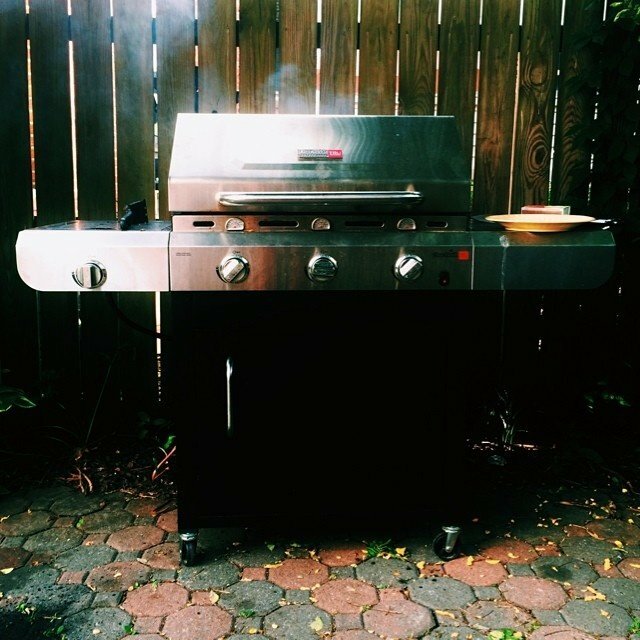 It's suggested that you brush or scrape your grill every time you use it, and then do a deep cleaning a few times a year, depending on how often you use it. Now let's get to the actual food and BBQing. Overcooking (or burning) the food raises the amount of PAHs (polycyclic aromatic hydrocarbons) and HCAs (heterocyclic amines) on the food (2). These chemicals are what people talk about when they say that grilling food can make it more likely to cause cancer. But, hang on, we have good news. You don't have to stop grilling. You can dramatically lower the amount of PAHs and HCAs by marinating your meat before grilling it. It doesn't have to be marinated for a very long time (even 5 minutes makes a huge difference, reducing PAH and HCA by as much as 92%), but the longer you marinate, the more flavorful the meat will be. Some research has shown that marinades with acid or oil are better than ones high in sugar (3). Additionally, tossing in some basil, mint, rosemary, oregano, or marjoram helps to reduce HCA levels because of their antioxidant properties. Easy peasy, and delicious (4). After you are done wonderfully cooking your food, you don't want to taint it by putting the piping hot food on plates that could leach chemicals onto the food. Usually BBQs or cookouts are known for using plastic or paper plates for easy cleaning up. But, plastic plates can transfer some harmful chemicals to the food, and so can paper plates if they are lined with an oil- or water-resistant coating. That magical water- and oil-proof property is often from chemicals known as PFAS, which easily gets onto the food items that it touches and takes years to break down, both in your body and in the environment. The best option would be to use real ceramic plates or some of these safe outdoor dishes that you can wash after the party, or unlined paper or bamboo plates that are completely compostable. Hey, if you are really going all out, why not just use napkins and create less trash over all. Who really needs a plate for a hotdog anyway? While this is less to do with the food, sunscreen and insect repellant are often popular for outdoor summertime events. While both have some pretty good benefits, like keeping you from getting burnt or covered in bites that can lead to various illnesses, some sunscreens and insect repellents contain pretty nasty chemicals. A good option is to wear long sleeve, lightweight shirts and pants that would protect you from both insects and sun. If that's just not seeming like an option for you, check out our roundup of safer sunscreen products. When it comes to bug repellant, that is more difficult and using a product with DEET, Picaridin, or IR3535 might still be your best bet. Some do find that oil of lemon eucalyptus (which is a particular active ingredient, different from lemon eucalyptus oil), can also be effective. You can read more about that over at EWG. The last tip relates to the decorations and activities at your BBQ. We recommend avoiding plastic and opting for reusable decorations when you can. Read more about ideas for throwing a party with less plastic. For items that are more common at a BBQ party near water, try games like corn hole (made of wood) or sharks and minnows as opposed to beach balls. If you are more the type that likes to float around in the water, consider pool noodles instead of rafts and things. While slightly less instagramable or T-Swift inspired, foam noodles are safer than the plastic floats which are almost always made of PVC (which contains phthalates). Get creative for fun ways to play that don't require plastic toys. 1) Hall, McKenzie. Reduce your exposure to toxins from grilled meats. Chicago Tribune. July 2, 2014. 2) Chung SY, Yettella RR et al. Effects of grilling and roasting on the levels of polycyclic aromatic hydrocarbons in beef and pork. Food Chemistry. Volume 129, Issue 4, 15 December 2011, Pages 1420-1426. 3) Farhadian A, Abas F et al. Effects of marinating on the formation of polycyclic aromatic hydrocarbons (benzo[a]pyrene, benzo[b]fluoranthene and fluoranthene) in grilled beef meat. Food Control. 28(2):420–425, December 2012. 4) Riches, Derrick. 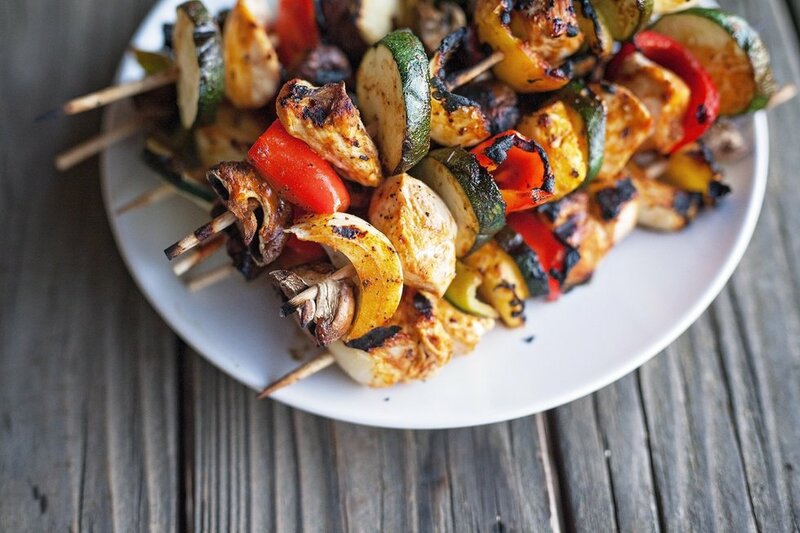 Healthy Grilling. The Spruce. April 4, 2017. Accessed April 11, 2018.